Discussion in 'Photos' started by MedicAndy, Jan 22, 2018. I like seeing pictures of motorcycles when they either blend perfectly in with other bikes, boats, cars, trains, or airplanes sitting next or close to them. I also like to see a motorcycle if it stands out "big-time" from their surroundings and thereby making a statement of what they and their riders are all about! So I start this thread with some of my favorite rides, and describe on what I'm liking or thinking about the pictures that I'm posting. Let's see what you guys have to show! Behold, there is a Wolf amongst the Sheep, or "One does not belong"
I would call this "A Full Shed", if I were a Poker player! Skunk-Works, Skooter, red-bull and 3 others like this. Slambo, Kmack, runnr548 and 3 others like this. BackRoader Life Is A Hiway, Ride It. 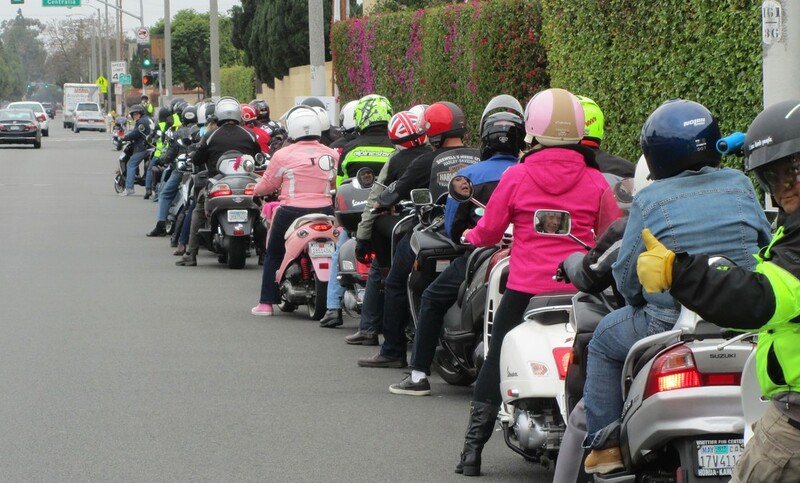 These threads are a hoot..... great to see those bikes. Moab Utah, The LaSale Mountain in the back ground. Tanger, AZTodd, Pantah and 16 others like this. Bors, RobbieO, sealsam and 1 other person like this. 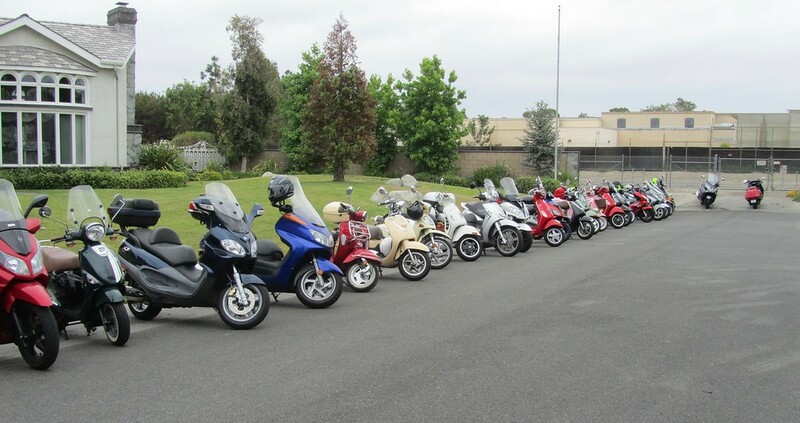 My scooter group here in Southern CA. Top pic, on very right in my beloved '92 Helix(of course parked different from all the rest). Johnnyfromcali, Uke, dedave and 5 others like this. And talking about not fitting in, this is my 95 C4 parked at a Raleigh, NC Police training facility. I know, I know, it's not a bike picture, but I still think that this is a pretty unique picture! Skooter and sealsam like this. Great thread. I just found it and surprised it is not more extent. Two of my girls I love to spend time with when I'm feeling blue! Biker's get-together at Raleigh's Devolve Moto on Glenwood Avenue. Although my little red LeMans is already 33 years old, she still looks as good today as she did the day she was born, especially considering that she is still all original. Bright colors on my Italian beauties! Tanger, Uke, Slambo and 1 other person like this. Uke and MedicAndy like this. corsair4360, Slambo, Bors and 3 others like this. Turismo9999 and MedicAndy like this. bomose, Turismo9999 and MedicAndy like this. Bors and MedicAndy like this. OJ-J and duckman like this.